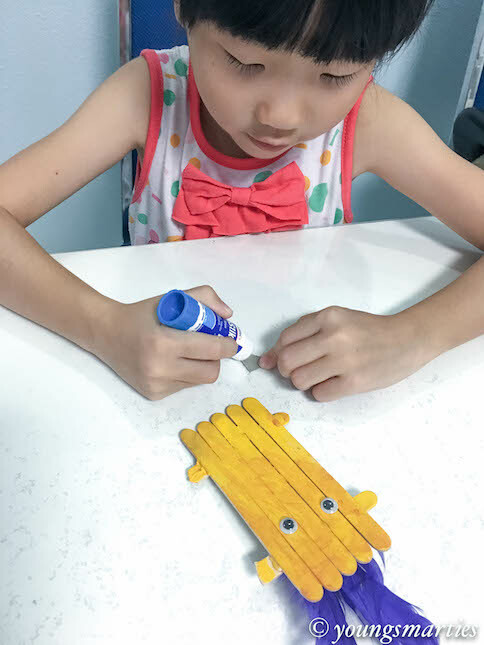 Arts and crafts are without doubt one of the best way for children to learn and grow in a creative and fun way. Not only does it develop their fine motor skills, it also helps to regulate their emotions and demonstrate self control and patience. 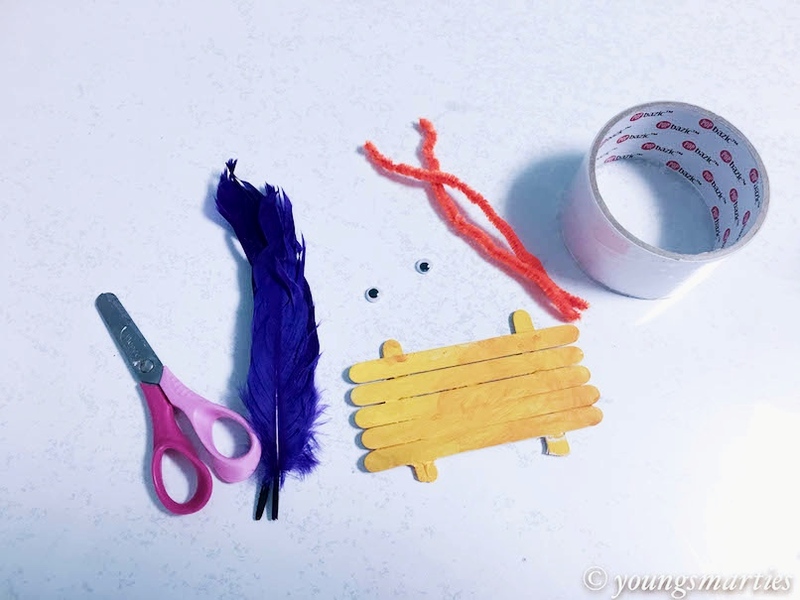 As a mom, I am very happy that smarties love crafts and they are always making something mainly out of recycled materials that we have collected at home. Yes, our home has a “junk” corner where we collect all the recycled materials for “future use”. 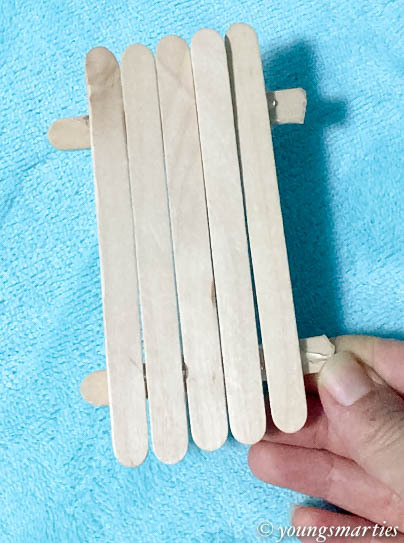 Cut 1 of the popsicle sticks into half and glue the other 5 popsicle sticks onto the cut up popsicle stick as shown below. 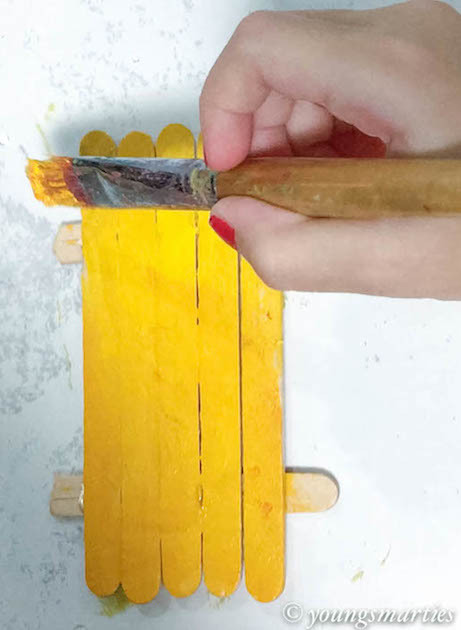 After it dries, have your child paint it with the colour of their choice (creativity is encourage here). 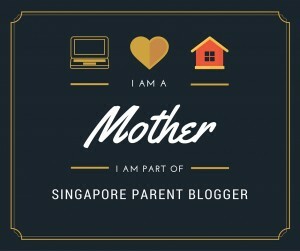 Let your child choose whatever colour he/she likes and ask why. 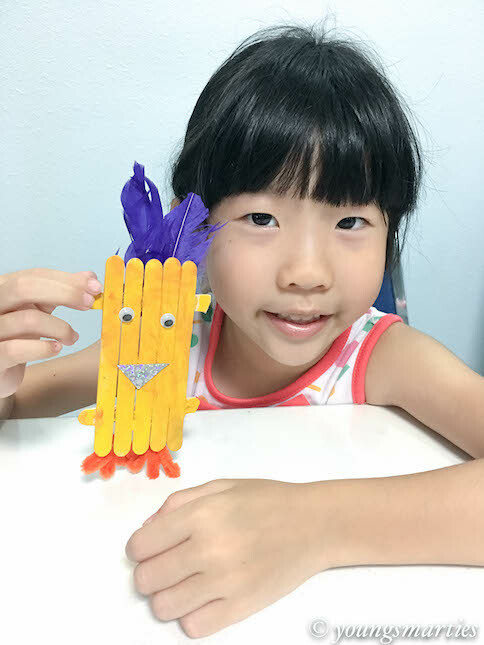 Choose the goggly eyes of your choice and stick it on the assembled popsicle sticks. Cut a little triangle out of the coloured paper to make the beak and feather for its hair. 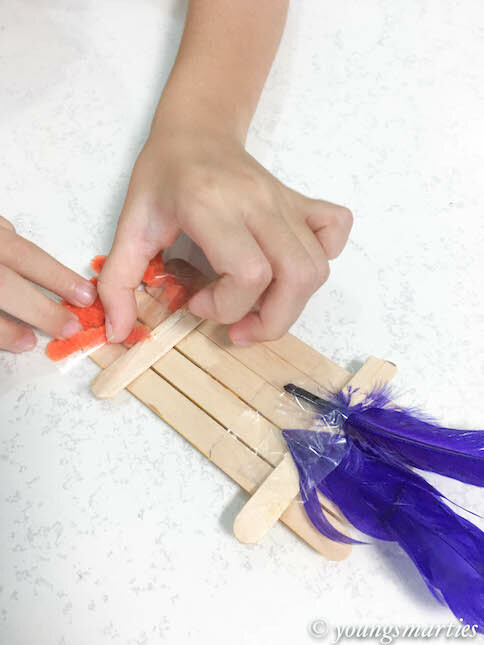 Last but not least, use the pipe cleaners to make its feet. Tadaa! It’s all done now! Easy peasy, isn’t it? 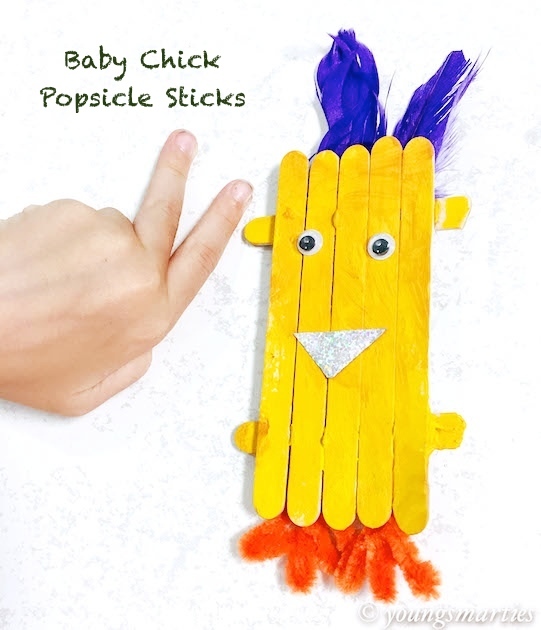 Don’t forget to check out our short video on how to make a baby chick out of popsicle sticks. Enjoy! We love animal masks and hats! I love kid crafts and this is too cute!